A shortstop can change the momentum of a game by executing a double play opportunity successfully. 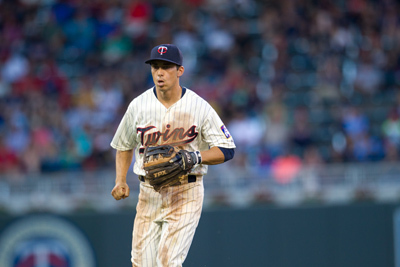 MN Twin Doug Bernier provides some expert tips for how to turn a double play, increasing your chances for success and decrease your chances for injury. There is an art to working around the second base bag on a double play when a runner is trying to take you out to avoid the completion of the play. Defense wins games. 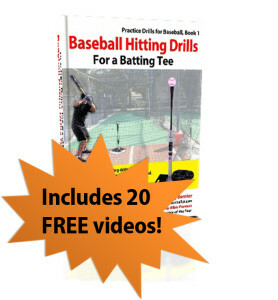 Although it is an aspect of the game that gets overshadowed by home runs and other offensive categories, eliminating runs from crossing the plate is just as valuable as knocking them in. Getting two outs on one pitch can be a huge momentum shift from the offensive team to the defensive team, and every pitcher on your team will quickly become your best friend for helping him get out of a jam. Turning double plays from shortstop is a little easier than second base for the simple reason that all of the action is in front of you. You can see the runner coming into second base and how hard he is coming in to break up the play (Click here if you play 2nd base). Feeds from the 2nd Baseman. 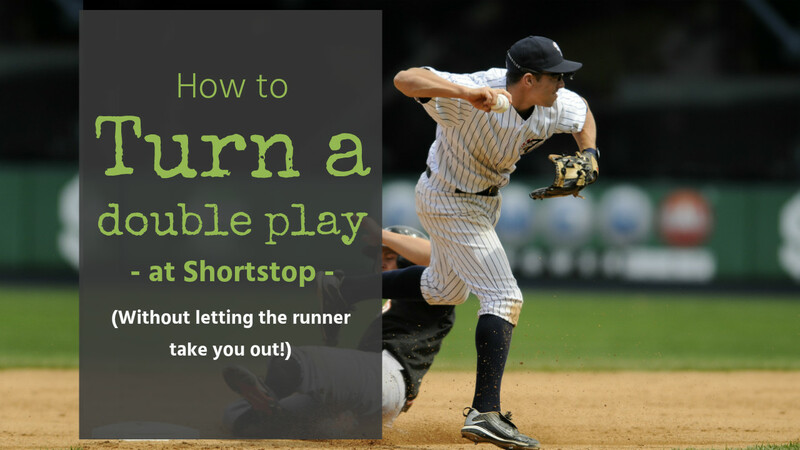 As a shortstop, this will be the most common double play you will turn. When receiving a feed from the second baseman the footwork is always the same. It doesn’t matter if he is flipping it to second base or tossing the ball. Always be squared up to the second baseman when receiving a throw, this will give him a good target and allow you to react if the throw is off. Always assume a bad throw. As soon as you don’t, you will get one. I like to receive the ball, if possible, to the left side of my chest or even to my left shoulder. This is ideal, because it leads my momentum away from the runner. Then I’ll hit bag and get out wide (outside the baseline) so the runner can’t get a clean shot on me. If you watch most high school and collegiate shortstops, they usually hit quadrant 4 (see diagram). The footwork doesn’t have to be as precise in college and high school because the runner has to slide into the bag, he can’t try to take your feet out from under you. In professional baseball, every inch you can give yourself to get out of the way of the runner can help you from getting hurt (I speak from experience). If you hit quadrant 3 you give yourself a few more inches that you can get outside of the baseline. Every time you turn a double play, your foot should land on the same spot on the base. On a good feed from the second baseman I will clip the bag with my right foot in quadrant 3 every time. As soon as I receive the ball and clip the outside part of the bag with my right foot I take my momentum and go through the ball and at the same time turning my upper body so my shoulders are in line with first base. If I can do this step successfully my lower half will follow. Once my shoulders line up my feet follow and I am in position to make a strong throw to first base. Yankee Doug Bernier turns a double play and jumps to avoid the baserunner. Once I release the ball I need to get in the air. Once I get in the air I eliminate the chance of the runner sliding into my front leg while still planted and breaking it or having a potential serious injury. Even if it is one inch off the ground he takes my legs out and I try to fall on top of him. Usually you can jump over the runner but every now and then you have to land on top of them. There is no room to be afraid of contact when a runner is coming in hard, if he clips you come down on him. He is trying to get you, you try to get him. You need to send a message that you are not going to be a sitting duck waiting to get blown up. The runners need to know that there are consequences for coming in hard. Pro tip: Another way to get a runner to think about you a little more and maybe slide earlier than he would like to is to show that you will throw from down low or side arm. Not too many runners will slide in and take one off the face just break up a double play. Throws from the first baseman. Throws from the first baseman depend on where he is playing. If he is holding the runner on first and a ball is hit to him I will position myself on the inside part of the second base bag. My left foot will be on quadrant 4 and I will wait for the ball. If he is playing behind the runner and a ball is hit his way I will get to the outside part of the bag, I will have my right foot on quadrant 3 and wait for the ball. I do this so the ball will not cross the runners path and hit him or have the runner block my sight of the ball. A key is getting to the bag as quick as possible. Don’t try to time the throw. If you try to time it and the throw is off either left or right your momentum will not allow you to get there. Get to the bag early, make sure of one out and if the throw is wide just react. Throws from the pitcher or the catcher. Option 1: Wait for the ball. If it looks like the runner might come after you, on a good throw let the ball come to you (the ball in the air is quicker than you trying to go get it). Stay behind the bag and throw to first. 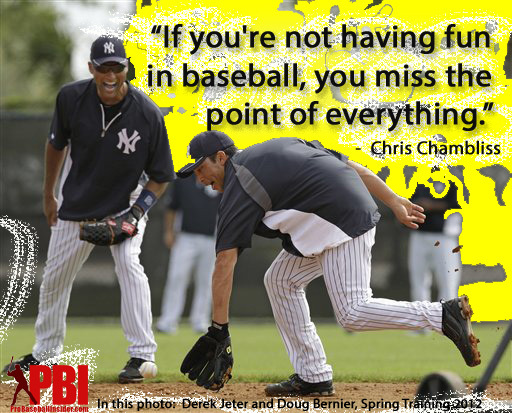 You want to think of keeping the second base bag between you and the runner. It is much more difficult to slide over top of the bag to get a middle infielder than if you were on the outside or inside. Option 2: Step toward the ball. But if you like to get some more momentum to first base or the throw isn’t very good, take your right foot to the ball. If the ball is coming right to your chest, put your left foot on quadrant 4 and step to the ball, you should catch it the same time your right foot is touching the ground. Take your left foot and line it up to first base and throw, make sure you get air born. This is how you will get every throw, by going to the ball with your right foot. You can do this on balls thrown to your right and even to your left that won’t interfere with the runner. This method also allows you to catch the ball in front of the runner so you won’t lose sight of him or risking it having it hit him. In this photo: NY Yankee infielders Derek Jeter and PBI founder Doug Bernier make a game out of their daily fielding practice. Some friendly competition makes everyone work harder! If the ball is thrown too far to your left you need to change your feet so you have your right foot on quadrant 3 and stretch to your left to catch the ball. This is more difficult because the runner will now be in your way, when you catch it throw to first. I hope this article on how to turn a double play has been helpful for you shortstops and coaches. We will be adding video to accompany many of these articles over the next off season, so be sure to subscribe to our YouTube channel, Facebook or email to get notified of newly posted tips from the pros.